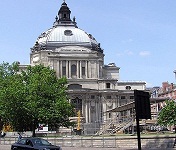 Methodist Central Hall is a Methodist church in the City of Westminster, London, opened in 1912 as a monument to mark the centenary of John Wesley’s death, the founder of Methodism. From 1932 to 2000, Central Hall was the headquarters of the Methodist Church. 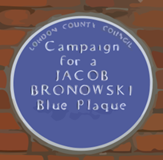 It has been regularly used for political rallies and Bertrand Russell lectured here. View the Methodist Central Hall website for details of events and services.